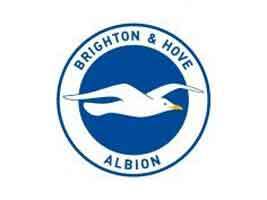 Brighton & Hove Albion Football Club are now offering a rare and exciting opportunity for a Kit Manager to join our women’s and girls’ team. We are looking for an organised and enthusiastic individual who is wishing to apply and develop their skills within a professional sporting environment. Albion will be at the forefront of the Football Association’s bold plans to revolutionise women’s club football in England after they were accepted to join next season’s fully professional Super League division one. This is an exciting time to join the women’s set up as Albion become one of ten all-professional sides in the top tier of the domestic female game. Successful candidates must have a minimum grade C GCSE in maths and English and possess the ability to work as part of a team. Preferably, candidates will be have experience of working in a kit and equipment environment.